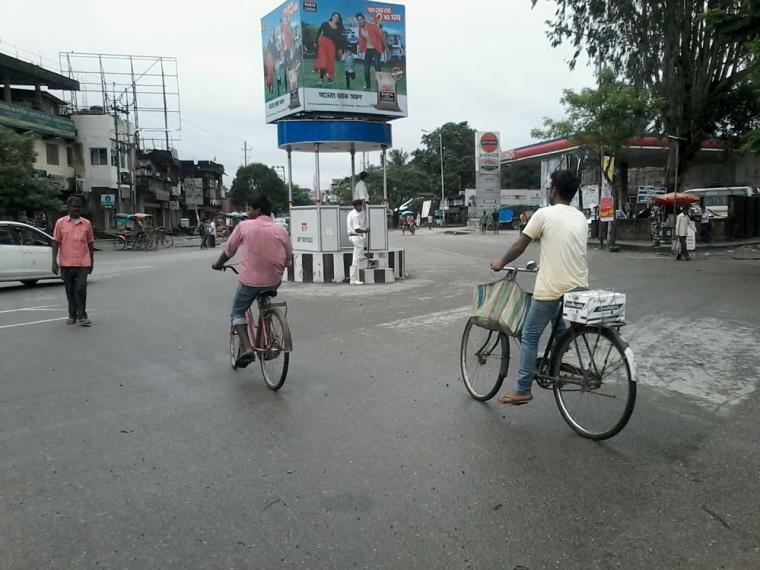 Taking into account the likelihood of occurrence of law and order situation due to group clashes and communal disturbances and for maintenance of peace and tranquility, the Kokrajhar District Magistrate, Niranjan Baruah, has imposed Section 144/144-A CrPC throughout the district. Through the order, the the Kokrajhar District Magistrate has prohibited assembly of five or more persons, taking out processions, shouting slogans, holding meetings or rallies, dharnas and demonstrations in public places and pillion ridding. The Kokrajhar DM has also prohibited use of full mask helmets by motorcycle riders, use of tinted glass in vehicles, use of microphones at outdoor without permission, carrying and brandishing of weapons, fire arms, bow and arrows, ammunition, explosive substances and any other hazardous tools, procurement, storage, sale and purchase of explosive, crackers and fireworks. However, the pillion riders like children below 12 years, women and senior citizens, as well as Executive Magistrates, police and other security personnel were exempted from the purview of the order. This order has come into force from August 22, 2018 and will remain in force until further order.